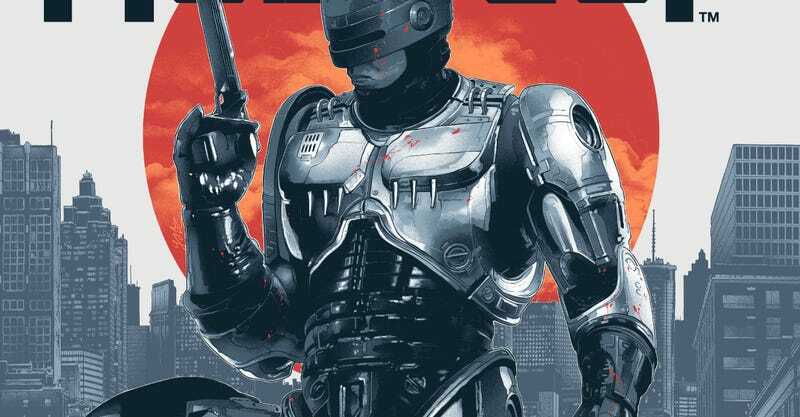 Paul Verhoeven’s 1987 film RoboCop gets better and better with age. The social commentary, the intentionally excessive violence, the humor, the character design, everything is just perfect. And if you don’t already celebrate the film on your walls, we’ve got just the thing. Grey Matter Art just debuted this gorgeous poster for the film by Grzegorz Domaradzki, also known as Gabz. It’ll be available Wednesday March 16 in two editions. Each poster is 24 x 36 inches with the white, regular one in an edition of 225 and grey variant in an edition of 100. Click here for more info. And if you think those are cool, Grey Matter Art has even more. They did this great poster by Kilian Eng. And this one by Matt Ferguson. Those two are available right now on their website.